The Raleigh County Courthouse (left) and County Circuit Court on Main Street in Beckley, W.Va.
BECKLEY, W.Va. — They fear her. They despise her. They reel at the very thought of her. Here in the Republican stronghold of southern West Virginia, a distinctly dystopian picture emerges of what life would be like under, God forbid, a Hillary Clinton presidency. People here view the election as an all-out battle for the soul of America, and view Clinton’s election as the one sure way to lose it. 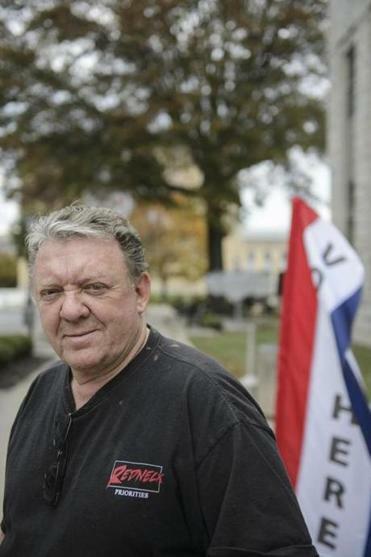 One after another, fearful citizens outside the Raleigh County Courthouse in downtown Beckley, where record numbers have turned out early to vote, spoke of the United States with Clinton in charge as a lawless land primed for economic collapse. Helpless in the face of rampant terrorism. And communism. Doomed to be overrun by Muslims and massive waves of illegal immigrants sucking America dry. A weakened nation that could be a target for the next world war. Worst of all? Guns would be yanked from their homes, as nearly full-term babies would be from their mothers’ wombs. How is it possible that this nation — a nation that venerates values Trump mocks every day — could be so close to electing such a man president? It would be like hell. “She would destroy the United States as we know it. It’s over. It’s all over. Believe me,” said Dean Pack, 70, echoing Donald Trump’s speaking style. “She’s trash. She’s a zero. A minus,” he shouted, hands waving in the air. Here in the heart of Trump country, where a billboard on the way into town urges folks to “support coal jobs” and “vote Republican” alongside another advising people to drive sober, a deep well of animosity has swelled against Clinton and what she is perceived to represent. The voters here squarely blame the Obama administration and onerous environmental regulations, even though economic forces, especially plentiful natural gas, loom larger in the industry’s troubles. Many also blame Democrats for the drug addiction tearing close-knit communities apart, the shuttered businesses around town, and the ubiquitous for-sale signs in front yards. A Clinton presidency, they reckon, would only hasten West Virginia’s demise. “What it boils down to is the American dream is going to be lost,” said John Myers, a 60-year-old independent voter who worked in construction and the coal mines. 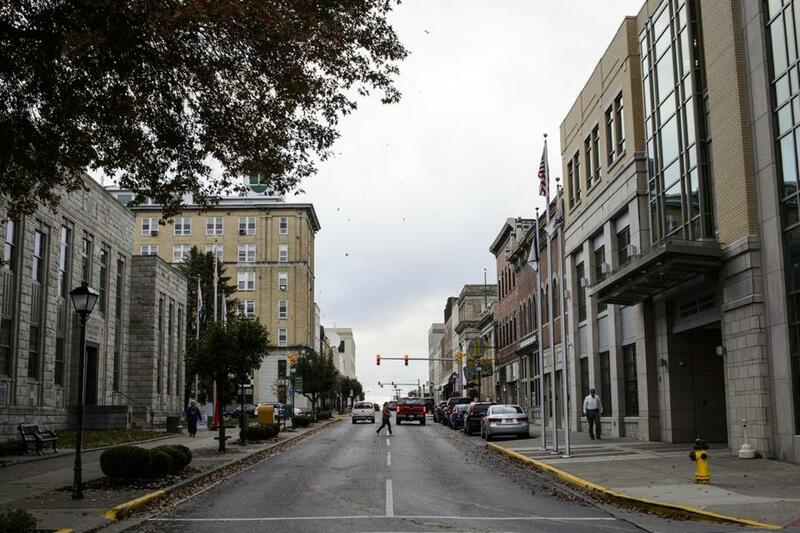 Beckley, the seat of Raleigh County, is an hour south of West Virginia’s capital city of Charleston along a winding highway slicing through the Appalachian Mountains. As mining jobs have dropped, so has the population, now down to about 17,000 people. The downtown appeared desolate on an unseasonably warm weekday in November, with the exception of people streaming into the stone courthouse to vote, across the street from a barber shop with a single chair. In this reddest of red states — where the Democratic gubernatorial nominee, billionaire Jim Justice, is running ads aggressively distancing himself from Clinton and President Obama and where a felon nearly beat Obama in the 2012 Democratic primary — residents say they sometimes feel like outsiders in their own country. Myers said he believes there’s a government conspiracy being waged against conservatives — which he said explains why Supreme Court Justice Antonin Scalia, a conservative legal icon, is no longer alive. “All you got to do is pull it up on the Internet,” Pack said. Views that, for many in other parts of the country, would stand out as extreme were repeatedly — though not unanimously — echoed in interviews with two dozen voters here. Clinton later told West Virginians that her statement — heavily circulated by Republicans — was taken out of context, and that she had also said she wanted to create new jobs in clean energy for coal miners. 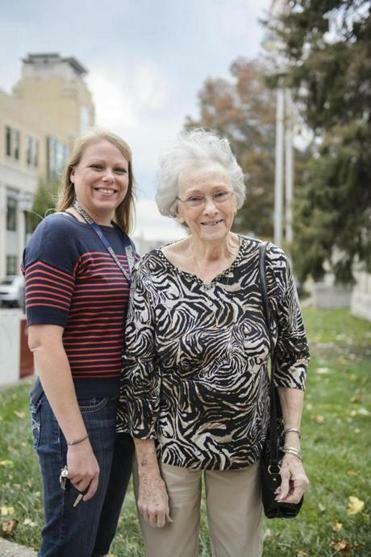 “She will kill coal and that’s what fuels us here,” said Kat Brown, 82, whose father, husband, brother, and son had all worked in the coal mines. Adjacent to the courthouse, memorials pay homage to the more than 2,000 coal miners in Raleigh County who have perished in mine explosions, most recently in 2010 when 29 were killed. Sheila Webb, a 63-year-old Democrat voting for Trump, threatened to move out of the country if Clinton becomes president. “Find me an island that ain’t got nothing but monkeys on it,” she said. Voters here view Clinton — not Trump — as the more dangerous commander in chief; someone who should not be trusted with the nuclear codes. “That woman, if she gets in, we’re going to have a war on our hands,” said Steven Stone, a 69-year-old Vietnam veteran, after buying a hot dog from a street vendor next to the courthouse. 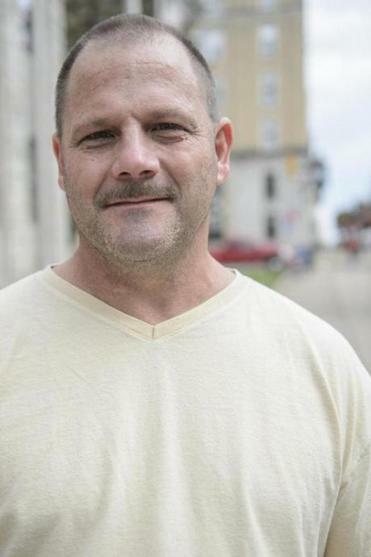 Stone, a former coal miner and Pepsi-Cola salesman, is a Democrat voting for Trump, because “I’m scared, really scared” about a war coming to US soil. “Mr. Trump, they think he’s crazy so I don’t think too many countries will mess with us,” said James Davis. James Davis, another Democratic Trump supporter who plans to change his party affiliation to independent, said America, under Clinton, would be especially vulnerable to attack because she, as a woman, would be seen as weak. As voters on the leaf-strewn sidewalk convulsed over the idea of a Clinton presidency, Micah Bailey, a 35-year-old law clerk, walked past the scene carrying his 5-year-old son in one arm, law papers in another. Bailey approached a reporter and quietly confessed to voting for Clinton. Nor would he be scared of a Trump presidency.